The wall-crawler's wardrobe has never looked better. 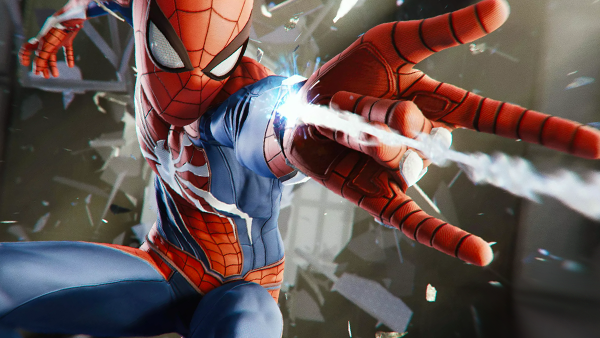 Spider-Man PS4 releases this Friday. Nope, this isn't a drill folks - soon you too will be able to don Steve Ditko's iconic red and blue outfit and take to the skies above New York, as well as a few others along the way. And by a few, we actually mean a lot. There are a grand-spanking 27 suits to collect in the base game for Insomniac's PS4 exclusive, and with three more at least set to follow in the first DLC featuring Black Cat, chances are if you have a favourite Spidey costume, it's probably going to be in the game. Of course, a Spider-Man title hasn't placed such a great emphasis on the character's wardrobe since Web of Shadows, which saw the wall-crawler shift between his classic red suit and the symbiote first seen in 1984's Secret Wars. This time around, it's because Insomniac have introduced a brand new design for players to pick apart, and while it raised a few eyebrows at first, it's fair to say that (both thematically and literally) Peter's Advanced Suit has proven to be a hit. But what of the wardrobe more generally? With some costumes obviously looking cooler than others, it's time to pick apart Insomniac's best translations of Spidey's classic garbs, and see which one comes out on top.